Choosing the right removal company in Aberdeen and Aberdeenshire is one of the most important aspects to moving your home or office. You should choose an Aberdeen removal company that will be attentive to your needs and will treat your possessions with respect and care. Granite City Movers are a family run business and they have been in the removal business for over 27 years they are a good choice when it comes to local household removals and any other type of removals. 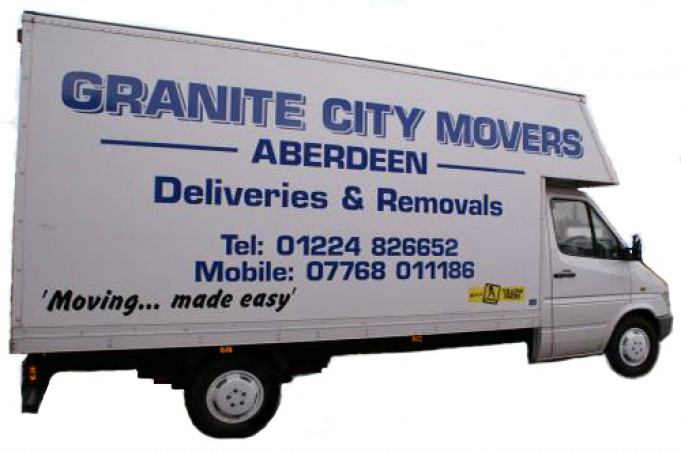 If you have a removal coming up, or just need something moved, make sure to get in contact with Granite City Movers Aberdeen. They'll make your removal as easy and stress-free as possible - just how it should be!